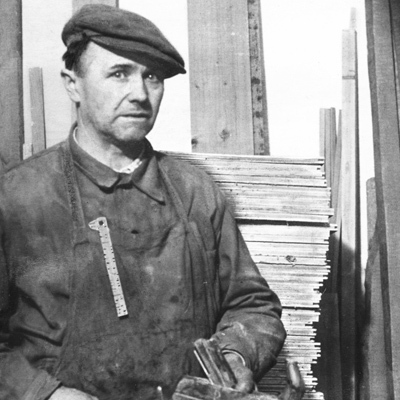 As early as the 1930s Josef Hanák was in charge of a family joinery. His motto at that time was precise work and quality materials, a motto which remains the foundation stone and the core philosophy of the company today. The company’s modern history began in 1990 with Josef’s son Stanislav Hanák, who continued his father’s tradition and established the SH Kroměříž company in Kroměříž. Today he still works together with his son Stanislav, who serves as the company’s Manufacturing Director. In 1995 the company moved to Popůvky u Kojetína, where it has expanded over the years from 1,200 m2 to an impressive 35,000 m2. Another significant milestone was the establishment of the stock-joint company HANÁK NÁBYTEK, a.s. in 2000, and the opening of the DESIGN CENTRE in Popůvky in 2004. In 2015 the company celebrated the 25th anniversary of the restoration of the family tradition, as well as the current position of the HANÁK brand in the domestic market. But HANÁK furniture does not know any limits and is sold in more than 15 countries around the world. Here you can discover the story of the power and reputation of the traditional HANÁK brand.